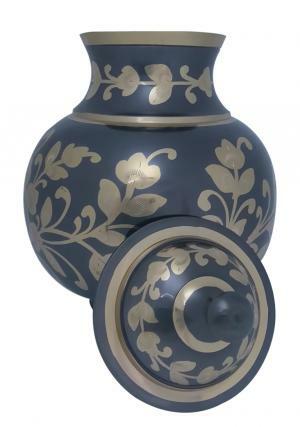 Golden Floral Black Adult Memorial Urn is decorated in black enamel with a smooth polished finish with engravings of flowers in gold and well furnished with floral design around the urn. 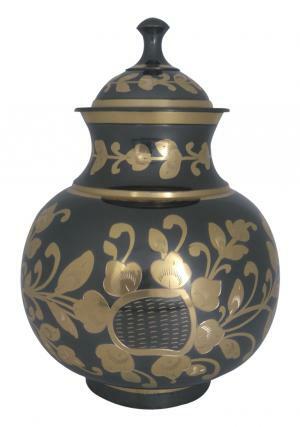 The black golden floral urn is made of solid brass and engraved by skilled professionals which represent the years of experience. 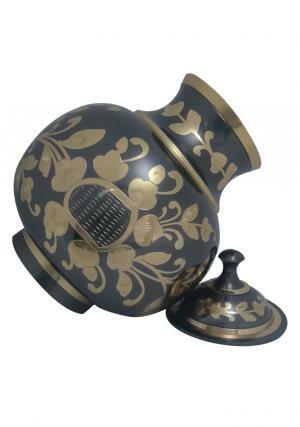 The lid of Golden Floral Black Memorial Adult Funeral Urn is decorated in floral aspects which has a mounted structure with edge pull up in black enamel. 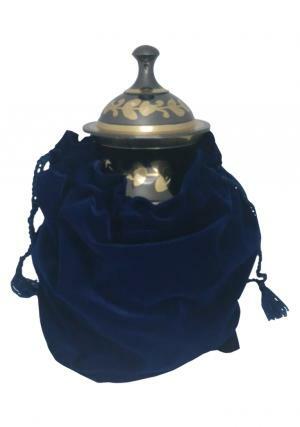 The screw threading of the lid is used to secure the ashes of the loved one and also for a easy closure or open of the urn top. 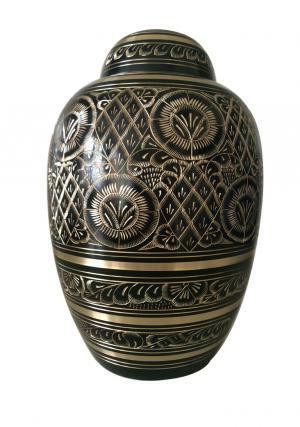 The black brass golden floral cremation urn is measured to weight 2.17 kg, 10.63 inch height and 7.58 inch width. 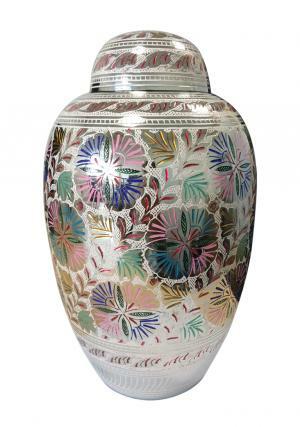 The Golden floral urn is capable of carrying 200 cubic inch of adult ashes to approximation.